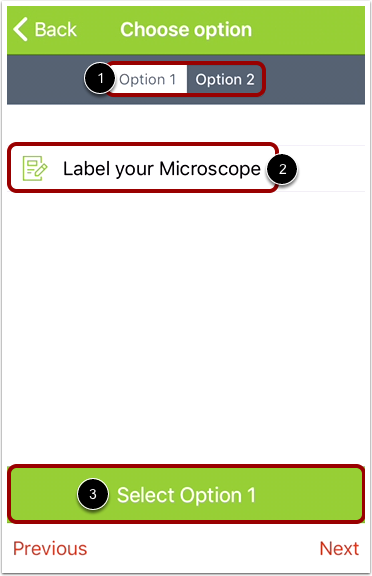 In Course Navigation, tap the Modules link. Note: You may have to swipe your screen to view the Modules link. Tap the name of the module you would like to view. Tap the Choose option link. 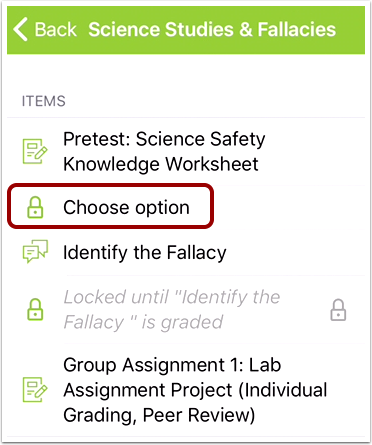 View the assignment options by tapping the tabs . To view an assignment description, tap the assignment name . 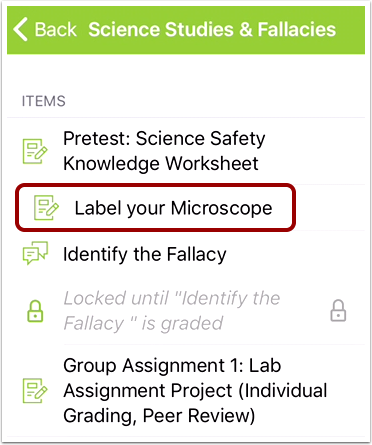 Locate the assignment you want to select and tap the Select button . 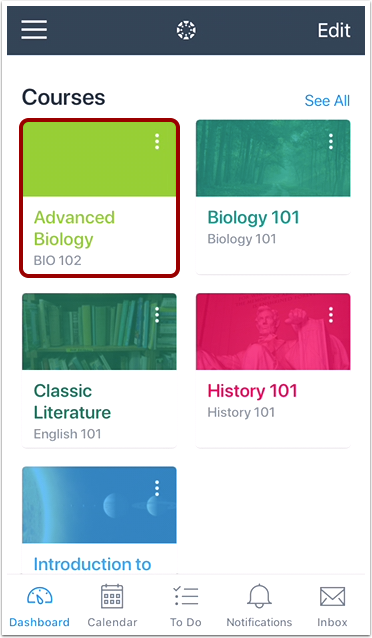 Previous Topic:How do I view grades in the Student app on my iOS device? 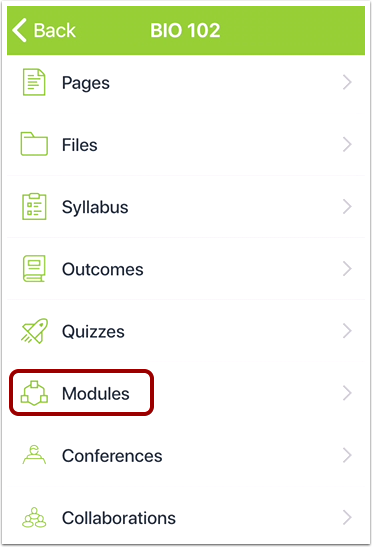 Next Topic:How do I view Modules in the Student app on my iOS device? 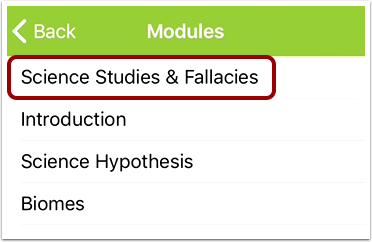 Table of Contents > Course Features > How do I choose an assignment group in a module in the Student app on my iOS device?